In July 2014, a West Palm Beach teen accidentally shot himself in the head with an air rifle. His mom recently filed a lawsuit against the rifle manufacturer, alleging that the rifle was in “safety mode” when it fired pellets into her son’s head. He suffered physical injuries, as well as depression and post-traumatic stress. The lawsuit claims that manufacturer Umarex USA knowingly put a dangerous and defective product on the market. Q: Who can I sue if I’m injured by a defective product? A: Florida law holds manufacturers responsible for producing safe products. They must properly instruct consumers on how to safely use their products, and they must also avoid design or manufacturing defects. Designers, suppliers, marketers and distributors can also be held liable for their role in designing, selling, promoting and distributing defective products. Consumers might be able to sue the manufacturer, retailer and marketer for their injuries. Q: What types of product defects should I be worried about? A: There are several things to watch out for in consumer products. For example, a product might suffer from a manufacturing flaw, which means that there’s something wrong with a particular item or product line. Maybe the manufacturer left out a crucial component during product assembly. Or there might be something wrong with the product’s inherent design, which would be a design defect. Consumers might also be injured if they are not warned about a product’s inherent dangers or properly instructed on the proper use of the product. Q: How do I prove my case? A: It depends on what legal theory you’re suing under. Typically, products liability lawsuits are based on either negligence or strict liability (or you can sue under both theories). In a negligence case, you have to prove that the manufacturer failed to use reasonable care in manufacturing the product, or that another defendant failed to use reasonable care in designing, selling, promoting or distributing the product. In a strict liability case, you have to prove that the product is unreasonably dangerous. An experienced attorney can decide which legal theory is applicable to your case. Q: When should I file my products liability lawsuit? 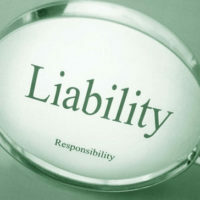 A: The deadline for filing a products liability claim is the same as any other action founded in negligence. You have four years from the date of the injury to file your lawsuit. But the sooner you file, the better. Delaying makes it more likely that crucial evidence will be lost. Contact a West Palm Beach personal injury attorney at The Pendas Law Firm today for a free consultation if you were injured by a defective product. We will examine the facts of your case and help you file a products liability lawsuit against the parties responsible for your injuries. The Pendas Law Firm also represents clients in the Jacksonville, Fort Lauderdale, Fort Myers, Orlando, Tampa, Miami, Daytona Beach and Bradenton areas.